Many businesses outsource all of their IT needs to us. Others engage us for specific projects or for assistance on an "as-needed" basis. 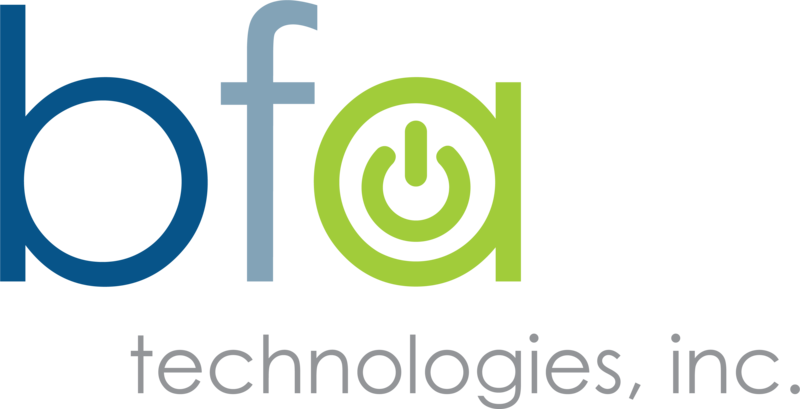 For your business or enterprise, the choice of BFA's IT service delivery option is up to you. We don't choose; we simply make your choice a reality. Whether you're currently using Mac® or are considering it for your organization, you might not be aware of the enormous momentum of a movement that's come to be known as "employee choice". This open viewpoint of computer platforms is being adopted by businesses - and most especially enterprises - in order to better ensure employee satisfaction and happiness. As a result, more and more organizations are - for the first time - allowing the choice of the Apple® Macintosh platform for their employees; and the results have been staggering! From increasing employee retention to better attracting new, top new talent, "employee choice" has positioned itself as a critical asset. Empowering the employee with the flexibility to choose their preferred platform has literately become a competitive advantage. Did we mention cost savings? IBM touts a $273 to $543 savings for every Macintosh (vs. a similar Windows device) on a TCO over a 4 year period. * Click here to learn more about "employee choice" from Jamf, Inc.
Business Challenge: How can your organization more effeciently deploy - or redeploy - Macs® throughout your organization without the need for anyone from IT to ever touch them? Business Solution: Abandon traditional IT computer imaging" by sendng your still unboxed Macs® directly to your employees for over-the-air, "zero-touch" deployment. This is done by utilizing "device management" software in conjunction with Apple's® deployment programs: Device Enrollment Program (DEP) & Volume Purchase Program (VPP). Your employees simply unbox, power-on and connect to the internet. That's it! Business Solution: Allow your employees to focus on learning to enjoy their new Macs® and leverage BFA to take care of all the rest. Helping clients move to Mac is what we love most; and we're experts at “dotting i’s” and “crossing t’s“. Business Challenge: Your business has made the wise decision to invest in Macintosh throughout your organization. But how do you provide unified endpoint mangement for items such as security plus device and app management? Business Solution: Enterprise Mobility Management (EMM) is a term created by Gartner to more accurately describe the evolution of services provided by the more familiar Mobile Device Management (MDM). In addition to device management - including inventory & security - today's EMM software can address app and data management as well. Oh yea, don't forget "zero-touch" deployment as well (see above). BFA has assisted more than (200) businesses nationwide with EMM. Business Challenge: Life happens. Systems, machines and networks will inevitably encounter issues that require troubleshooting of some sort. 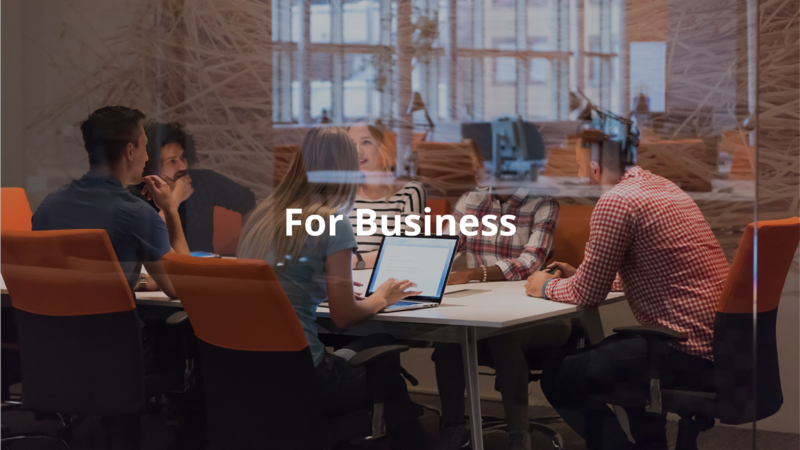 Business Solution: Your organization can stay ahead of the game with preemptive planning and, when challenges do occur, experienced IT infrastructure suport from BFA. Maintain optimal productivity by remaining more fully operational more often. Business Challenge: How can your organization more effeciently deploy - or redeploy - iOS devices throughout your organization without the need for anyone from IT to ever touch them? Business Solution: Abandon traditional IT device "imaging" by sendng your still unboxed iPads or iPhones directly to your employees for over-the-air, "zero-touch" deployment. This is done by utilizing "device management" software in conjunction with Apple Deployment Programs like Apple Business Manager, encompassing both device enrollment, and volume purchasing for both application and licenses, as well as device aquisitions. Your employees simply unbox, power-on and connect to the internet. That's it! Business Challenge: There is no shrink-wrap, off-the-shelf solution that exactly meets all of your organization's mobile business requirements. Business Challenge: You have a device management (MDM) solution - or you know you need to implement one - but you don't have the technical resource or one with time to administer it. Business Solution: Outsource the administration of your device managment to BFA and allow us to put our vast knowledge and experience to work for you. Business Challenge: Your organization deployed Apple iOS devices; but there was no solution in place to provide security, asset management nor device, app or data management. Business Solution: Mobile Device Management (MDM) software provides essential, over-the-air managment for all of your mobile devices. Device management is available in affordably priced, easy-to-use solutions, all the way up to the most robust and powerful instances for maximum protection and control. There’s a level suitable for every organization’s needs.